Typically, hookahs are shared amongst a group of people during each session and the hoses are passed around for each person to enjoy. 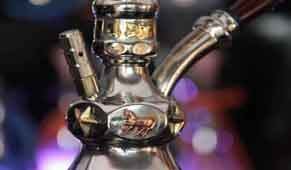 It’s not uncommon for people to own their own hookah to share with their family and friends during parties and gatherings. Where Can You Buy a Khalil Mamoon Hookah?